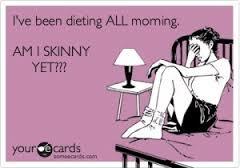 Okay, I’m in diet hell. 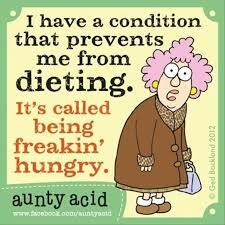 Well it’s more like diet heck but it’s not great fun either. I once belonged to Weight Watchers and I remember the guy who had the class said that once you were in WW you were forever in WW, that some part of your brain is always counting points. 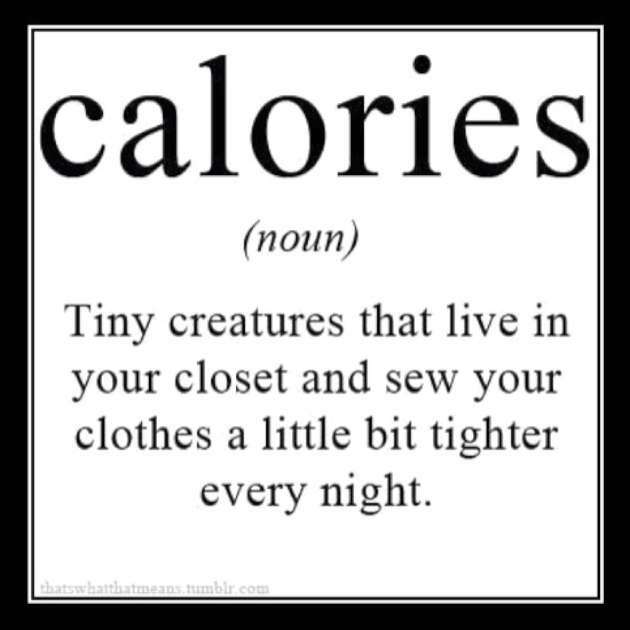 I think he’s right but this time I’m counting calories. I went to this thing online and it had you put in your age, present weight, how much you want to lose and in what period of time. I said I wanted to lose ten pounds in a month. The little formula said I had to live on 1200 calories a day. Let me tell you, 1200 calories is not much! So I bumped it to 1400 calories and it’s better. 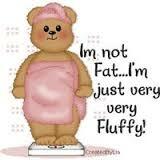 It will take me longer to shed the pounds but I least I won’t be eating the cat’s food. Some things that help with the hunger are protein bars. I looked up which were the most healthy and realized they taste like sawdust so I went with pretty healthy. At least these are tasty and not loaded with sugar and they do keep me full. Coffee is another trick that helps with weight loss. And it gives me pep when I’m tired and there is something warm to hold and sip, that’s nice in the dead of winter. And I’ve been exercising more too. I have this walk/jog DVD that I can do. It’s only a half hour long, high cardio and since it’s in my house I can do it at midnight if I want…and have often done. This helps tighten the flab and I sure have my share. Did someone say love-handles? I must be the most loved person on the planet. So what about you? 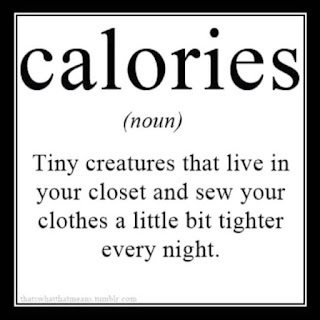 Do you have tricks that help you lose weight? Something that you do that helps keep it off? I really appreciate the suggestions. Hope you see less of me in the next few months.